TSP Legal What is a Statutory Will and when and why is one needed? TSP Legal > News > General News > What is a Statutory Will? Sharon Auton, who leads the Thompson Smith and Puxon Dispute Resolution team, answers the question “What is a Statutory Will?” and also discusses when and why one might be necessary, and how to apply for one if needed. The current estimate is that a staggering 40% of the adult population in this country do not have a Will. If you don’t have a valid Will in place at the time of your death then the Rules of Intestacy will determine how your estate is divided amongst your heirs – see here. It is also possible that someone, who relied on you for support whilst you were alive, will make a claim under the Inheritance (Provision for Family and Dependants) Act 1975. If you do not have the capacity to make a Will for yourself, the Court of Protection, under the Mental Capacity Act 2005, can execute a Statutory Will on your behalf. 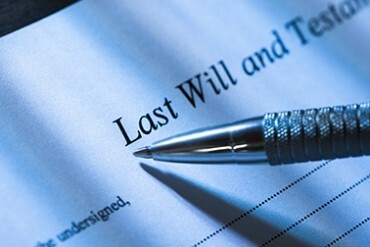 If you lack capacity an application to the Court is the only means of obtaining a Will. Who can make an application to the Court of Protection for a Statutory Will? Any other person would first need to apply to the Court for permission to make the application. Copious documentation usually accompanies any such application. What the Court considers when an application for a Statutory Will is made? If you lack capacity, first and foremost, the Court considers what is in your best interests. If you have already made a Will the applicant needs to persuade the Court that there are grounds for departing from wishes stated in that Will. The Court is most likely to execute a Statutory Will if you have never executed a Will or if there has been a significant change in your circumstances. Where possible, the Court takes into account your past and present wishes and feelings, your beliefs and values and other factors you might consider if you had capacity. The Court will also try to find out about the views of anyone currently engaged in caring for you, and also anyone acting as your attorney under a lasting power of attorney or as your Deputy. This process takes time and often highly contentious, stressful and expensive. The Court encourages parties to reach a resolution, possibly by way of mediation. The Association of Contentious Trust and Probate Solicitors (ACTAPS) also actively encourages this in its code of conduct.